We know that when it comes to child care, you have many different options, and a lot of variables to consider. It can be a bit overwhelming! The Child Care Council of Westchester is here to serve you with a variety of FREE services for families with young children, including children with special needs. We recommend all parents choose a child care program that is regulated by the New York State Office for Children and Family Services (OCFS). These regulations cover basic health and safety issues, limit the number of children each adult cares for, define the required training hours and topics that providers must take, and ensure periodic inspections and monitoring. Learn more about the types of regulated and non-regulated care. 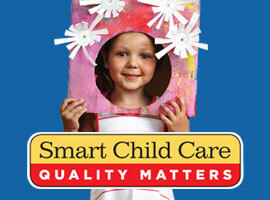 We offer many different ways for you to search for child care providers in Westchester County. With so many options for child care available in Westchester, it can be difficult to sort through your options. The Council's guidelines and checklists can help. We want to make sure you understand what your child care dollars cover, and that you're aware of what financial resources might be available to help cover the cost of care. We know that quality child care is far from your only challenge or responsibility. The Child Care Council is here to help connect Westchester parents with whatever education, support and resources you need. See how you can ensure your child is safe, learning, healthy and happy while in care.